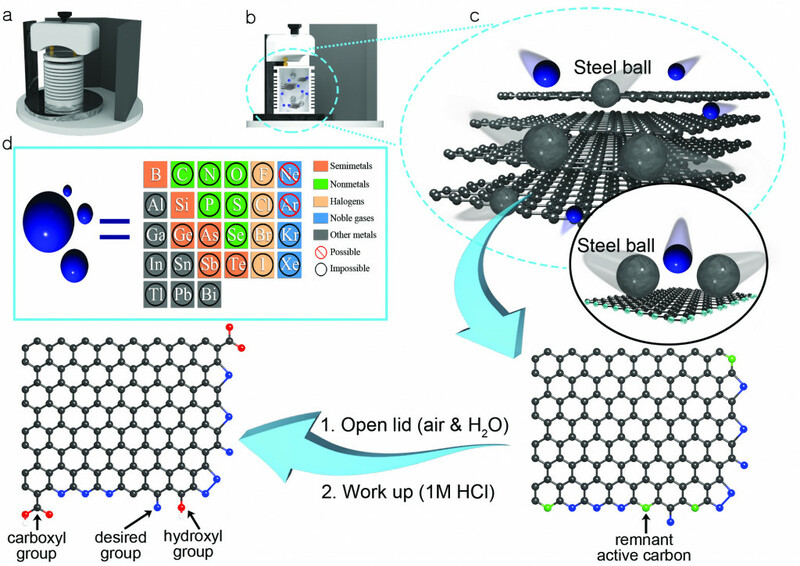 We developed a new approach for scalable production of graphene nanoplatelets (GnPs), which involves simple but efficient production via mechanochemical ball-milling graphite in the presence of corresponding reactants. 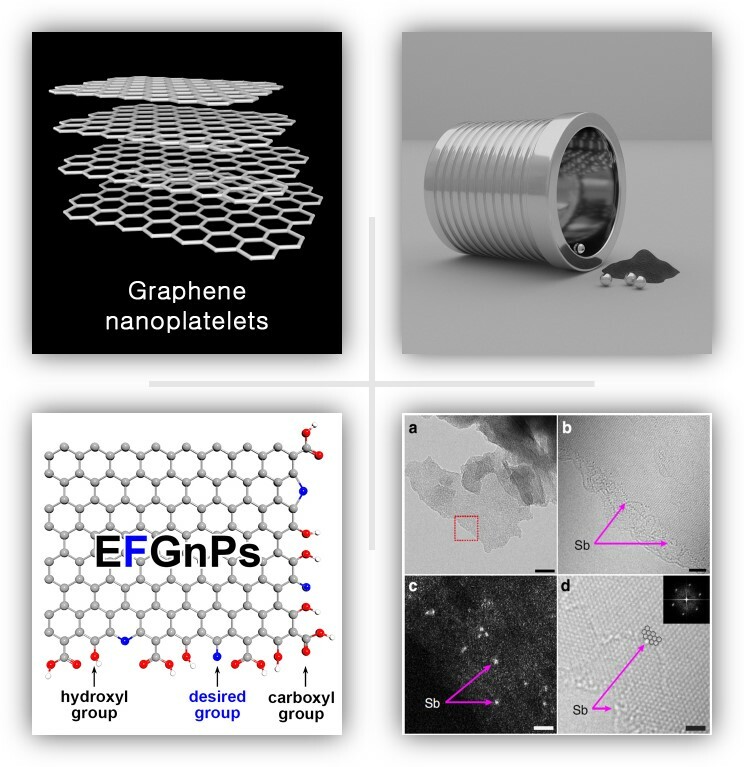 Edge-selectively functionalized graphene nanoplatelets (EFGnPs) have high crystallinity and a variety of functional groups and/or heteroatoms can be selectively introduced at the edges for different applications. Our research in this area focuses on the applications, such as fuel cells, solar cells, Li-ion batteries, flame retardants and so on.